Simply sign up to PersonalFN free daily newsletter, Financial News. Simplified. and get access to this latest book (2017 Edition) on picking winning mutual funds. NO-SPAM PLEDGE - We will never rent, sell, or give away your e-mail address to anyone for any reason. You can unsubscribe from Financial News. Simplified. with a few clicks. "Unbiased advice on the basis of thorough research process. It is always a pleasure to read all articles posted by PersonalFN which are very informative, clear and concise to the point." 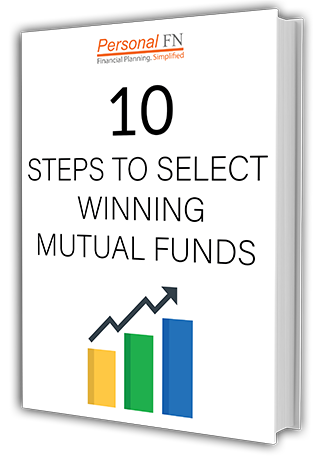 As soon as you sign up, you will get instant access to one of PersonalFN's Most Popular book - "10 Steps to Select Winning Mutual Funds". This book will introduce you to what PersonalFN believes are among the best approaches to picking Mutual Funds! Over a thousand people have already downloaded this book. On an ongoing basis, you will also receive a daily update, called Financial News. Simplified., in which we will share more of our thoughts on mutual fund picking strategies among other views. Financial News Simplified, including the book that you get instant access to, are 100% Free of charge. There are no obligations to purchase anything. Credit card is NOT required. LEGAL DISCLAIMER: Quantum Information Services Pvt. Limited (PersonalFN) is an independent Mutual Fund research house. This does not constitute or is not intended to constitute an offer to buy or sell, or a solicitation to an offer to buy or sell financial products, units or securities. All content and information is provided on an 'As Is' basis by PersonalFN. Information herein is believed to be reliable but PersonalFN does not warrant its completeness or accuracy and expressly disclaims all warranties and conditions of any kind, whether express or implied. PersonalFN and its employees, personnel, directors will not be responsible for any direct / indirect loss or liability incurred by the user as a consequence of him or any other person on his behalf taking any investment decisions based on the contents and information provided herein. Use of this information is at the user's own risk. The user must make his own investment decisions based on his specific investment objective and financial position and using such independent advisors as he believes necessary. All intellectual property rights emerging from this newsletter are and shall remain with PersonalFN. This is for your personal use and you shall not resell, copy, or redistribute the newsletter or any part of it, or use it for any commercial purpose. The performance data quoted represents past performance and does not guarantee future results. As a condition to accessing PersonalFN's content and website, you agree to our Terms and Conditions of Use, available here. Quantum Information Services Private Limited. 16 Jolly Maker Chambers II, Nariman Point, Mumbai 400021. India. Telephone: 91-22-6136 1200.